In mid-June, as Presidents Xi and Obama strived to build bonhomie in the arid desert east of Los Angeles, a US–Japanese armada was purposefully massing off the coast, preparing for a simulated invasion of southern California. The contrast between the Sunnyland summit and Dawn Blitz, an amphibious exercise principally involving the US and Japan, with participation from Canada and New Zealand, was both coincidental and surreal. Yet the point wasn’t lost on the Chinese authorities who demanded, in vain, that the exercise be cancelled. Participating in Dawn Blitz for the first time, Japan sent three warships, including two amphibious ships with 250 Ground Self Defence Force (GSDF) personnel embarked, including a helicopter detachment of two Apache gunships and two Chinooks. Five Air Self Defence Force (ASDF) staff officers also took part, making this an unprecedented combined arms exercise for the SDF. 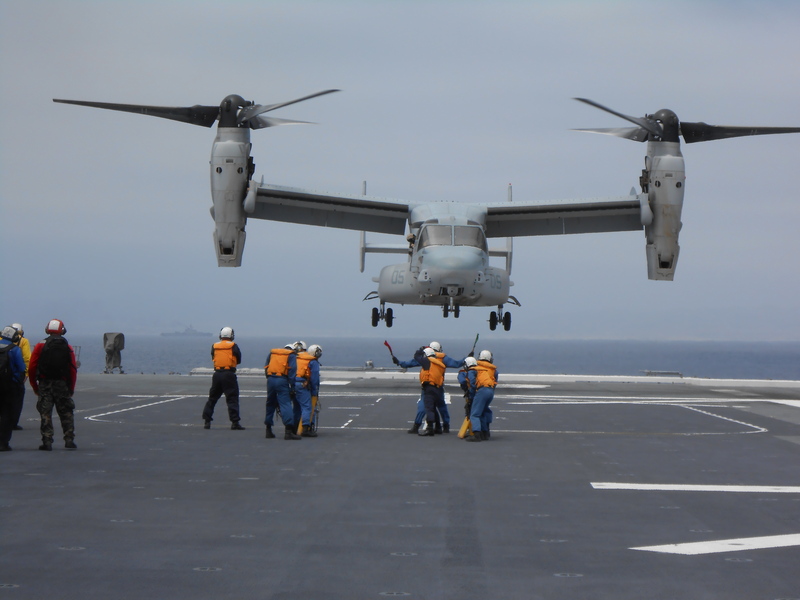 In another precedent, US Marine tilt-rotor Ospreys landed on the deck of Japan’s helicopter destroyer Hyuga. From a standing start, two years ago, Japan’s defence establishment has moved with unaccustomed speed to the threshold of an operational joint-service amphibious capability. This is consistent with the ‘dynamic defence’ concept outlined in 2010, which reorients the SDF’s posture to defend Japan’s south-western approaches against the growing threat felt from China. The US Marine Corps has catalysed this rapid development, sharing its institutional memory with the SDF via an effective liaison channel in Japan (Iwo Jima presumably wasn’t first pick among the case studies). However, impetus also came from the Japanese side, with strong support from both the Ground and Maritime SDF (MSDF) chiefs. 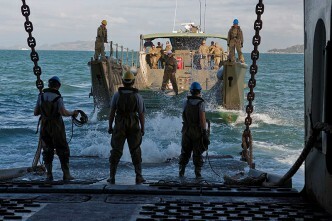 The Ground Staff Office formed an amphibious study group in the spring of 2012, while the GSDF has had an infantry platoon embedded with a US Marine Expeditionary Unit since December, and engaged in joint training on Guam as well as a precursor exercise to Dawn Blitz in California in February 2013. The Maritime Chief of Staff Admiral Kawano personally supports the initiative, while the MSDF has established its own amphibious development committee. The intention isn’t to set up an independent marine corps along US lines—that would overstretch resources and exacerbate service rivalries. Rather the aim is to develop a composite, amphibious force, leveraging on the Joint Staff Office established in March 2006. The ground component will be roughly battalion size, with naval and air arms attached—a close match to the US model. The ASDF’s F-2 fighters are likely to be tasked with the close air support role in future. Ultimately, air support could be augmented by vertical landing JSF but land-based air cover is probably sufficient for island defence. The SDF already has around 80% of the hardware it needs for amphibious operations, with the ship-to-shore function being the most obvious amphibious capability gap across the services, though each Osumi hosts a pair of LCAC hovercraft. The GSDF are in the process of acquiring small numbers of amphibious assault vehicles (AAVs). The taboo-breaking procurement could serve a valuable secondary purpose by forcing habits of cooperation between GSDF and MSDF. A ruling-party defence report in May gave a political nod towards an indigenous amphibious capability, and the Japanese MOD has already indicated its desire to acquire the Osprey. If these intentions are adopted into new National Defence Programme Outline (NDPO), to be drafted by December 2013, then the hardware gap will have been substantially filled. Not surprisingly, Dawn Blitz flushed out other teething issues in Japan’s amphibious development. A major priority is to facilitate communications between the SDF branches and to enable them to talk with their US counterparts—which will also require legislative change. The other required commodity, of course, is money. The outlays needed to set up an operational amphibious capability are relatively modest, at least before aircraft purchases are factored in. Salaries will need to rise at some point, if only to redress a morale-damaging SDF-wide 10% pay cut. Resources can always be found if the strategic need is acute enough but the JMOD can expect only modest increases within the prevailing fiscal and political climate. The MSDF has long possessed a rudimentary amphibious capability, but neither the doctrine nor the inter-service culture existed to support the creation of a marine-type force‎. Constitutional sensitivities placed AAVs and overtly designated amphibious ships beyond the limits of ‘defensive’ capabilities deemed permissible. It’s therefore remarkable that Japan’s government has not only pushed through these self-imposed constraints in record time, but dispensed with any pretence that the amphibious development is expressly designed for other-than-war missions, despite the SDF’s established HADR track record. This is ironic, since the triple disaster of March 2011 provided helpful momentum and ‘lessons learned’ for the creation of a joint marine force. JMOD officials and Japanese politicians have done little to hide the main objective of the new capability as defending Japan’s outlying islands from external aggression. Indeed, public comments supporting the need for an amphibious capability, from Prime Minister Abe downwards, underscore the importance his administration attaches to clearly communicated deterrence. The strategic messaging of joint exercises with American forces such as Dawn Blitz speaks most obviously to alliance solidarity. At the same time, Japan is signalling its intention to establish an amphibious capability for some level of independent operations. This distinction is important, given the longstanding assumption that US support for the defence of Japan against direct attack would be automatic, limiting the SDF’s combat role to a short-term holding operation. 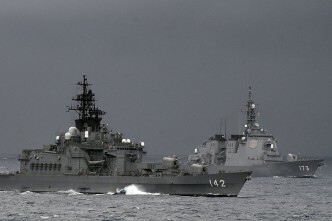 Recent graduated and sometimes indirect pressure from China in the East China Sea has altered that assumption to a realisation that the Self Defence Forces may have to hold the line unaided against limited or covert Chinese actions in the Senkaku/Diaoyu or other outlying islands, notwithstanding repeated US assurances that its security guarantee applies to all territory under Japanese administration. That amounts to a sea change in threat perception and mindset that will require more than Japan’s nascent amphibious capability to straddle; changes in hardware will otherwise be rendered hollow. 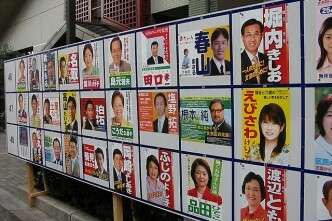 Japan’s political-legal ‘software’ is still evolving, but SDF personnel increasingly see themselves as the ‘front line’ for national defence. Contemporary amphibious operations, as James Goldrick reminds us, cover a broad spectrum in which contested landings are the undesirable exception. 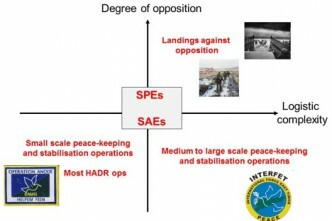 Territorial defence and conventional deterrence aside, the SDF’s new capabilities, once mastered, should also broaden Tokyo’s options for peacekeeping and stabilisation operations, with some potential for Canberra to partner with Japan in areas of common interest including the South Pacific. Defence industrial collaboration in the amphibious arena, including future AAV development, is another possibility. Japan’s re-born amphibious capability is stirring but yet to find its feet. Like the Ōsanshōuo, Japan’s native giant salamander, the world’s second-largest amphibian, its instincts may be to seek out an aquatic life in seclusion without natural competitors. Unfortunately, it may not have that luxury. Euan Graham is a senior fellow at the S. Rajaratnam School of International Studies in Singapore. Private image via author.